Keep your neck warm (and stylish) with an infinity scarf. I got this one last year at Bloomie’s. I think it’s Aqua, but I can’t be sure. I cut the tag off! Anyway, I love it because it’s chunky with flecks of gold in it- just the right hint of holiday flair. I happen to have a 3/4 sleeve Gap shirt (from a decade ago) that’s about the same shade. When paired together it actually looks like it’s one piece! Tricky, tricky! 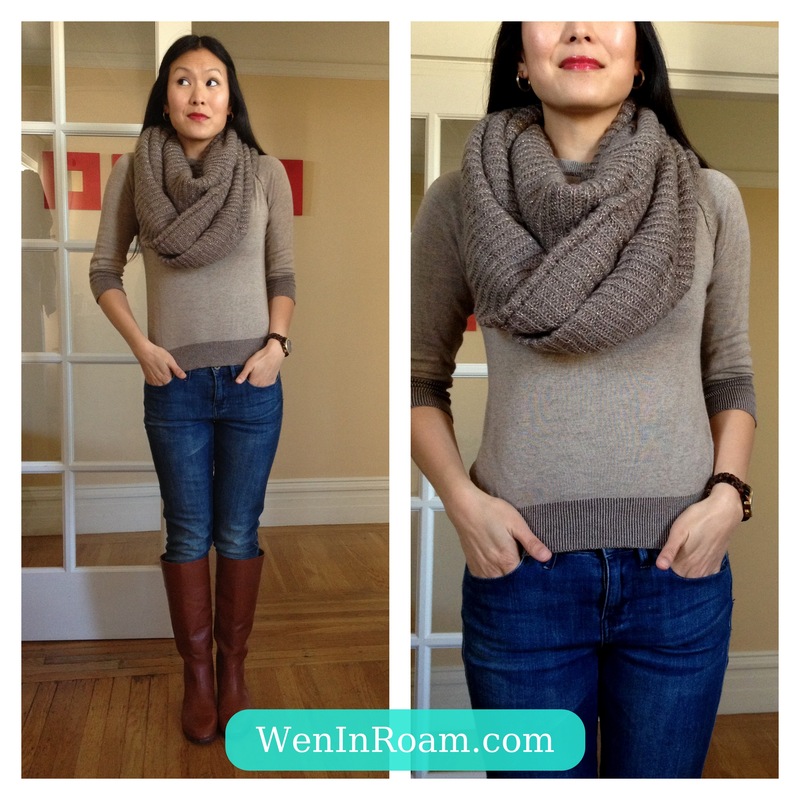 This entry was posted in Style and tagged cold weather, fashion, infinity scarf, scarf, sweater, winter fashion by weninroam. Bookmark the permalink.